September 9, 2011 – Dragon Gate USA – Chasing The Dragon at the Salvation Army Community Center in Indianapolis, IN. The Scene (Caleb Konley & Scott Reed) defeat Remi Wilkins & Tripp Cassidy (3:18)… Uhaa Nation defeats Aaron Draven (2:42)… Jon Davis defeats Arik Cannon (11:45)… Open Invitational Elimination: Brodie Lee defeats Billy Roc and BJ Whitmer and Flip Kendrick and Mike Sydal and Sugar Dunkerton (11:29)… Naruki Doi defeats Sami Callihan (13:04)… Pinkie Sanchez defeats Louis Lyndon (7:09)… JUNCTION THREE (Masato Yoshino & YAMATO) defeat Ronin (Chuck Taylor & Johnny Gargano) (18:05)… Six Man Tag Team Captain’s Fall: Blood WARRIORS (Akira Tozawa, CIMA & Ricochet) defeat JUNCTION THREE (PAC & Rich Swann) & AR Fox (17:36). September 10, 2011 – Dragon Gate USA – Untouchable 2011 at the Congress Theater in Chicago, IL. The Scene (Caleb Konley & Scott Reed) defeat The Kentucky Buffet (Alex Castle & Matt Cage) (3:35)… Jon Davis defeats Rich Swann (9:03)… PAC defeats Ricochet (10:07)… No Disqualification Tag Team: AR Fox & Sabu defeat DUF (Arik Cannon & Pinkie Sanchez) (11:35)… Akira Tozawa defeats Johnny Gargano (20:32)… Four Way: Chuck Taylor defeats Masato Yoshino and Naruki Doi and Sami Callihan (10:18)… Open The Freedom Gate Title: YAMATO (c) defeats CIMA (21:59). September 11, 2011 – Dragon Gate USA – Way of the Ronin 2011 at the Miramar Theatre in Milwaukee, WS. Dark Six Way: Louis Lyndon defeats Brett Gakiya and CJ Esparza and Eric Ryan and Facade and Sugar Dunkerton… Ronin (Chuck Taylor & Rich Swann) defeat The Scene (Caleb Konley & Scott Reed) (14:15)… Brodie Lee defeats Silas Young (8:56)… Akira Tozawa defeats Jon Davis (7:29)… DUF (Arik Cannon & Sami Callihan) defeat AR Fox & YAMATO (17:43)… Sabu defeats Pinkie Sanchez (7:46)… Four Way: Uhaa Nation defeats Facade and Flip Kendrick and Sugar Dunkerton (8:39)… Johnny Gargano defeats Naruki Doi (17:20)… Open The United Gate Title / Open The Twin Gate Title: Spiked Mohicans (CIMA & Ricochet) (c) [Twin] defeat JUNCTION THREE (Masato Yoshino & PAC) (c) [United] (24:09) – TITLE CHANGE! November 11, 2011 – Dragon Gate USA – DGUSA REVOLT! at the Wonderland Ballroom in Revere, MA. DUF (Arik Cannon & Pinkie Sanchez) (w/Sami Callihan) defeat The Scene (Caleb Konley & Scott Reed) (8:08)… Jon Davis defeats Sami Callihan (14:58)… Akira Tozawa defeats Masato Yoshino (14:29)… Blood WARRIORS (Brodie Lee & CIMA) defeat Ronin (Chuck Taylor & Johnny Gargano) (18:59)… BJ Whitmer defeats Vinny Marseglia (2:03)… Six Way Elimination Fray: Ricochet defeats AR Fox and PAC and Rich Swann and Sabu and Uhaa Nation (17:25)… No Disqualification No Ropes: YAMATO defeats BxB Hulk (19:42). November 12, 2011 – DGUSA Bushido 2011: Code Of The Warrior at the Asylum Arena in Philadelphia, PA. Dark: BJ Whitmer & Uhaa Nation defeat The Scene (Caleb Konley & Scott Reed)… Masato Yoshino defeats AR Fox (10:33)… PAC defeats Brodie Lee (10:22)… Rich Swann defeats Akira Tozawa (9:39)… Johnny Gargano defeats BxB Hulk (12:19)… Street Fight: Sabu defeats Pinkie Sanchez (9:02)… Open The Freedom Gate Title: YAMATO (c) defeats Chuck Taylor (17:47)… Open The United Gate Title: Blood WARRIORS (CIMA & Ricochet) (c) defeat DUF (Arik Cannon & Sami Callihan) (17:56). November 13, 2011 – DGUSA Freedom Fight 2011 at the BB King Blues Club & Grille in Manhattan, NY. Brodie Lee defeats BJ Whitmer (7:37)… The Scene (Caleb Konley & Scott Reed) defeat John Silver & Uhaa Nation (10:44)… Ronin (Chuck Taylor & Rich Swann) defeat Blood WARRIORS (Akira Tozawa & BxB Hulk) (15:21)… Masato Yoshino defeats CIMA (20:09)… Ricochet defeats PAC (22:42)… Open The Freedom Gate Title: Johnny Gargano defeats YAMATO (c) (26:48) – TITLE CHANGE !! !… Extreme Warfare Six Man Tag Team: DUF (Arik Cannon, Pinkie Sanchez & Sami Callihan) defeat AR Fox, Jon Davis & Sabu (26:14). January 27, 2012 – Dragon Gate USA Open The Golden Gate at the Westin Los Angeles Airport in Los Angeles, CA. Low Ki defeats BxB Hulk (w/Akira Tozawa) (10:50)… The Young Bucks (Matt Jackson & Nick Jackson) defeat Chuck Taylor & Scorpio Sky (12:00)… Masato Yoshino defeats Naruki Doi (16:07)… Tables: Sami Callihan defeats AR Fox (10:00)… Jon Davis defeats Caleb Konley (w/Larry Dallas)… Akira Tozawa (w/BxB Hulk) defeats PAC (16:00)… Open The United Gate Title: Spiked Mohicans (CIMA & Ricochet) (c) defeat JUNCTION THREE (Jimmy Susumu & Masaaki Mochizuki) (24:04). March 29, 2012 – CZW/DGUSA Heat at the German American Society Clubhouse in Hollywood, FL. Dark Tag Team: The TECH Squad (Mike Monroe & Trevor Read) defeat Maxwell Chicago & Wayne Van Dyke… Dark: Johnny Vandal defeats Maxx Stardom… Dark: Joey Saint defeats Shawn Prime… Low Ki defeats Bobby Fish (8:32)… Ricochet defeats Mike Cruz (10:10)… Samuray del Sol defeats Masato Yoshino (10:34)… Team Veteran Returns (CIMA & Masaaki Mochizuki) defeat The Scene (Caleb Konley & Scott Reed) (w/Amber & Larry Dallas) (14:59)… PAC defeats AR Fox (17:37)… Nine Man Tag Team Three Way Elimination: MAD BLANKEY (Akira Tozawa, BxB Hulk & Uhaa Nation) defeat Ronin (Chuck Taylor, Johnny Gargano & Rich Swann) and DUF (Arik Cannon, Pinkie Sanchez & Sami Callihan) (24:22)… Death: Danny Havoc defeats Lucky tHURTeen… Death: DJ Hyde defeats Drake Younger. March 30, 2012 – Dragon Gate USA – Open The Ultimate Gate 2012 at the Deauville Beach Resort in Miami Beach, FL. Dark: DJ Hyde defeats Navy Blue… AR Fox defeats Rich Swann (10:59)… Bobby Fish & Tommy Dreamer defeat The Scene (Caleb Konley & Scott Reed) (w/Amber O’Neal, Larry Dallas, Sassy Stephie & Shelly Martinez) (8:29)… BxB Hulk defeats Sami Callihan (11:25)… Tag Team Street Fight: Jon Davis & Sabu defeat DUF (Arik Cannon & Pinkie Sanchez) (7:12)… Masaaki Mochizuki (w/CIMA) defeats Akira Tozawa (w/BxB Hulk & Christina Von Eerie) (19:51)… Samuray del Sol defeats Johnny Vandal (3:15)… Low Ki defeats PAC (23:48)… Open The United Gate Title Match (vakant): WORLD-1 International (Masato Yoshino & Ricochet) (w/CIMA) defeat Ronin (Chuck Taylor & Johnny Gargano) (w/Rich Swann) (19:42) – TITLE CHANGE! March 31, 2012 – Dragon Gate USA – Mercury Rising 2012 at the Deauville Beach Resort in Miami Beach, FL. Bobby Fish defeats Jon Davis (9:34)… AR Fox defeats Arik Cannon (w/Pinkie Sanchez) by DQ (11:03)… Street Fight: Sabu defeats Sami Callihan (17:59)… Six Way: El Generico defeats Chuck Taylor and CIMA and Lince Dorado and Rich Swann and Samuray del Sol (17:05)… The Scene (Caleb Konley & Scott Reed) (w/Amber O’Neal, Larry Dallas & Shelly Martinez) defeat Los Ben Dejos (Ben Dejo & Marty Con Dejo) (6:26)… Open The Freedom Gate Title: Johnny Gargano (w/Rich Swann) (c) defeats Masato Yoshino (20:19)… Low Ki & MAD BLANKEY (Akira Tozawa & BxB Hulk) (w/Christina Von Eerie) defeat Masaaki Mochizuki & WORLD-1 International (PAC & Ricochet) (21:23). July 28, 2012 – Dragon Gate USA – Untouchable 2012 at the Gibraltar Trade Center in Taylor, MI. Dark: J. Miller defeats Tyler Elkins… Dark Five Way: Gavin Quinn defeats Cameron Skyy and Dave Manzo and Ded Vaughn and Tommy Treznik… Jon Davis defeats Jake Manning (4:49)… Rich Swann defeats Chuck Taylor by DQ (7:47)… The Super Smash Brothers (Player Dos & Player Uno) defeat The Scene (Caleb Konley & Scott Reed) (w/Larry Dallas) (12:43)… YAMATO defeats Ricochet (11:31)… DUF (Arik Cannon & Pinkie Sanchez) defeat Derek Ryze & N8 Mattson (8:21)… Masada defeats Pinkie Sanchez (5:57)… AR Fox & CIMA defeat El Generico & Samuray del Sol (26:33)… Open The Freedom Gate Title: Johnny Gargano (c) defeats Akira Tozawa (w/Christina Von Eerie) (25:40). July 29, 2012 – Dragon Gate USA – Enter The Dragon 2012: Third Anniversary Celebration at the Congress Theater in Chicago, IL. Masada defeats Jake Manning (2:24)… The Scene (Caleb Konley & Scott Reed) (w/Larry Dallas) defeat Zero Gravity (Brett Gakiya & CJ Esparza) (10:10)… Samuray del Sol defeats Shane Hollister (5:04)… The Super Smash Brothers (Player Dos & Player Uno) defeat DUF (Arik Cannon & Pinkie Sanchez) (15:27)… I Quit: Johnny Gargano defeats Chuck Taylor (24:07)… Jon Davis defeats YAMATO (13:47)… Akira Tozawa (w/Christina Von Eerie) defeats El Generico (21:19)… Open The United Gate Title Match (vakant): AR Fox & CIMA defeat WORLD-1 International (Rich Swann & Ricochet) (21:02) – TITLE CHANGE! November 2, 2012 – Dragon Gate USA – Fearless 2012 at the Everett Rec Center in Everett, MA. Johnny Gargano defeats Eita (11:39)… The Scene (Caleb Konley & Scott Reed) (w/Larry Dallas & Trina) defeat DUF (Arik Cannon & Pinkie Sanchez) (10:27)… Sami Callihan defeats Samuray del Sol (14:12)… Captain’s Fall Six Man Tag Team: ACH, CIMA & Rich Swann [C] defeat The Gentlemen’s Club (Chuck Taylor [C], Drew Gulak & Orange Cassidy) (w/The Swamp Monster) (13:22)… Jon Davis defeats Akira Tozawa (13:33)… Open The United Gate Title #1 Contendership: Genki Horiguchi & Ryo Saito defeat The Super Smash Brothers (Player Dos & Player Uno) (16:13)… AR Fox (w/CIMA) defeats Ricochet (18:12). November 3, 2012 – Dragon Gate USA – Uprising 2012 at the Flyers Skate Zone in Voorhees, NJ. 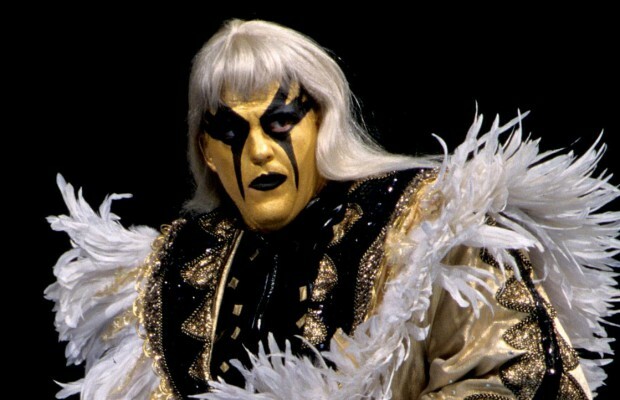 Dark: Latin Dragon defeats Gary Jay… Dark: ACH defeats Eita… Fire Ant & Jigsaw defeat DUF (Arik Cannon & Pinkie Sanchez) (11:32)… Akira Tozawa defeats Samuray del Sol (12:24)… Anything Goes: Jon Davis defeats Johnny Gargano (0:44)… The Super Smash Brothers (Player Dos & Player Uno) defeat Rich Swann & Ricochet (20:10)… The Gentlemen’s Club (Chuck Taylor, Drew Gulak & Orange Cassidy) (w/Nolan Angus & The Swamp Monster) defeat Cheech & The Scene (Caleb Konley & Scott Reed) (w/Larry Dallas & Trina) (15:31)… Best Two Out Of Three Falls: Sami Callihan defeats El Generico [2:1] (20:36)… Open The United Gate Title: AR Fox & CIMA (c) defeat Genki Horiguchi & Ryo Saito (20:51). November 4, 2012 – Dragon Gate USA – Freedom Fight 2012 at the NYWC Sportatorium in Deer Park, NY. Jon Davis defeats Eita (6:15)… Papadon & Tony Nese defeat The Scene (Caleb Konley & Scott Reed) (w/Larry Dallas & Trina) (9:41)… Arik Cannon defeats ACH (6:43)… The Super Smash Brothers (Player Dos & Player Uno) defeat Fire Ant & Jigsaw (14:28)… No Disqualification: Rich Swann defeats Chuck Taylor (13:02)… CIMA defeats Sami Callihan (14:59)… El Generico & Samuray del Sol defeat Genki Horiguchi & Ryo Saito (15:15)… Open The Freedom Gate Title Four Way Elimination: Johnny Gargano (c) defeats Akira Tozawa and AR Fox and Ricochet (30:27). January 25, 2013 – Dragon Gate USA – Open The Golden Gate 2013 at the Lakeview Jr. High School in Santa Maria, CA. Samuray del Sol defeats Eita (9:47)… Brian Cage defeats Ray Rosas (5:38)… EVOLVE Three Way Elimination: Chuck Taylor defeats AR Fox and Jon Davis (13:06)… Jimmyz (Jimmy Susumu & Ryo Saito) defeat Johnny Gargano & Rich Swann (20:53)… Julian Cash vs. Kevin Divine – No Contest (0:43)… The Young Bucks (Matt Jackson & Nick Jackson) defeat DUF (Arik Cannon & Sami Callihan) (18:10)… John Morrison defeats Akira Tozawa (18:45). January 26, 2013 – Dragon Gate USA – REVOLT! 2013 at The Pappy Pineda Dome in Huntington Park, CA. Chuck Taylor defeats Arik Cannon (7:00)… Eight Way Fray: Brian Kendrick defeats B-Boy and Brian Cage (w/Larry Dallas, Melissa Coates & Trina Michaels) and Drake Younger and Famous B and Johnny Goodtime and Johnny Yuma and Ray Rosas (13:06)… Rich Swann defeats Eita (15:48)… AR Fox defeats Samuray del Sol (14:13)… Akira Tozawa defeats Sami Callihan (17:44)… The Young Bucks (Matt Jackson & Nick Jackson) defeat Jimmyz (Jimmy Susumu & Ryo Saito) (16:48)… Open The Freedom Gate Title No Ropes: Johnny Gargano (c) defeats Jon Davis by Ringrichterentscheid (21:08). January 27, 2013 – Dragon Gate USA – Heat 2013 at The Pappy Pineda Dome in Huntington Park, CA. Rich Swann defeats Arik Cannon (11:23)… Jon Davis defeats Drake Younger by Ringrichterentscheid (9:24)… Chuck Taylor defeats Eita (12:16)… Open The Freedom Gate Title: Johnny Gargano (c) defeats Brian Kendrick (19:58)… Samuray del Sol defeats Ryo Saito (9:24)… Sami Callihan defeats Jimmy Susumu (15:35)… Akira Tozawa & AR Fox defeat The Young Bucks (Matt Jackson & Nick Jackson) (20:23). April 6, 2013 – Dragon Gate USA – Open The Ultimate Gate 2013 at the Meadowlands Expo Center in Secaucus, NJ. Rich Swann defeats Brian Kendrick… Six Way Freestyle: Anthony Nese defeats Arik Cannon and Chuck Taylor and Fire Ant and Jigsaw and Shane Strickland (13:39)… Scott Reed (w/Larry Dallas) defeats Derek Ryze (3:13)… Trent defeats Jon Davis by DQ (12:20)… Eita & Tomahawk TT defeat The Super Smash Brothers (Player Dos & Player Uno) (14:23)… Ricochet defeats Akira Tozawa (w/Christina Von Eerie) (19:55)… Uhaa Nation defeats Sami Callihan (16:17)… Open The United Gate Title: The Young Bucks (Matt Jackson & Nick Jackson) defeat AR Fox & CIMA (c) (19:29) – TITLE CHANGE !! !… Open The Freedom Gate Title: Johnny Gargano (c) defeats SHINGO by Ringrichterentscheid (33:26). April 7, 2013 – Dragon Gate USA – Mercury Rising 2013 at the Meadowlands Expo Center in Secaucus, NJ. Dark: Amasis defeats Mikey Webb… Anthony Nese (w/Mr. A) defeats Soldier Ant (w/Fire Ant) (6:00)… Scott Reed (w/Larry Dallas & Trina Michaels) defeats Caleb Konley (9:00)… The Super Smash Brothers (Player Dos & Player Uno) defeat DUF (Arik Cannon & Sami Callihan) (8:32)… Brian Kendrick defeats Chuck Taylor (w/Nolan Angus, Orange Cassidy & The Swamp Monster) (13:10)… Ladders Are Legal Seven Way Fray: Uhaa Nation defeats AR Fox and Christina Von Eerie and Facade and Matt Jackson and Nick Jackson and Samuray del Sol (23:38)… Orange Cassidy (w/Chuck Taylor, Drew Gulak & The Swamp Monster) defeats Jon Davis by DQ (3:48)… Johnny Gargano, Rich Swann & Ricochet defeat CIMA, Eita & Tomahawk TT (22:35)… SHINGO defeats Akira Tozawa (23:08). July 27, 2013 – Dragon Gate USA – Bushido: Code Of The Warrior 2013 at the Queensboro Elk’s Lodge in Elmhurst, NY. Uhaa Nation defeats Jigsaw… Six Way Freestyle: Scott Reed (w/Larry Dallas) defeats Caleb Konley and Derek Ryze and Drew Gulak and Orange Cassidy and Shane Strickland… Bunkhouse: Jon Davis defeats Chuck Taylor… Johnny Gargano defeats Rich Swann… Trent defeats Eita… Anthony Nese defeats Akira Tozawa… Best Two Out Of Three Falls Six Man Tag Team Gate To Heaven: Ricochet & The Young Bucks (Matt Jackson & Nick Jackson) defeat AR Fox, CIMA & Tomahawk TT [2:1]. July 28, 2013 – Dragon Gate USA – Enter The Dragon 2013: Fourth Anniversary Celebration at the Highline Ballroom in New York City, NY. Jon Davis defeats Drew Gulak (7:30)… Shane Strickland defeats Caleb Konley (9:12)… Anthony Nese (w/Mr. A & Su Yung) defeats Uhaa Nation (7:51)… Chuck Taylor, Jigsaw & The Batiri (Kodama & Obariyon) defeat Fire Ant, Frightmare & The Osirian Portal (Amasis & Ophidian) (10:08)… Open The Freedom Gate Title #1 Contendership Four Way: Akira Tozawa (w/Christina Von Eerie) defeats CIMA and Eita and Tomahawk TT (14:58)… Open The Freedom Gate Title: Johnny Gargano (c) defeats Akira Tozawa… Trent Barreta defeats AR Fox… EVOLVE Title: AR Fox defeats Trent Barreta (13:50)… Open The United Gate Title: The Young Bucks (Matt Jackson & Nick Jackson) (c) defeat The Inner City Machine Guns (Rich Swann & Ricochet) (16:30)… Open The Freedom Gate Title: Johnny Gargano (c) defeats Akira Tozawa (17:42). November 16, 2013 – Dragon Gate USA – Fearless 2013 at the Queensboro Elk’s Lodge in Queens, NY. Jon Davis defeats Earl Cooter… Andrew Everett & Caleb Konley defeat Biff Busick & Steven Walters… Trent defeats Chuck Taylor… EVOLVE Title Four Way Freestyle: AR Fox (c) defeats Fire Ant and Mark Angelosetti and Shane Strickland… Ricochet defeats Rich Swann… Anthony Nese defeats Jimmy Susumu… Masaaki Mochizuki defeats Johnny Gargano… Open The United Gate Title: The Bravado Brothers (Harlem Bravado & Lancelot Bravado) defeat The Young Bucks (Matt Jackson & Nick Jackson) (c) – TITLE CHANGE! November 17, 2013 – Dragon Gate USA – Freedom Fight 2013 at the Brooklyn Lyceum in Brooklyn, NY. Jon Davis defeats Steven Walters (10:23)… Mark Angelosetti defeats Jervis Cottonbelly (3:41)… Jimmy Susumu defeats Chuck Taylor (10:46)… Three Way Tag Team Elimination: The Bravado Brothers (Harlem Bravado & Lancelot Bravado) defeat Andrew Everett & Caleb Konley and Fire Ant & Jigsaw (14:03)… Grudge: Anthony Nese defeats Ricochet (19:41)… Rich Swann defeats Trent (19:54)… The Young Bucks (Matt Jackson & Nick Jackson) defeat AR Fox & Masaaki Mochizuki (15:11)… Open The Freedom Gate Title: Johnny Gargano (c) defeats Chris Hero by Ringrichterentscheid (25:37). 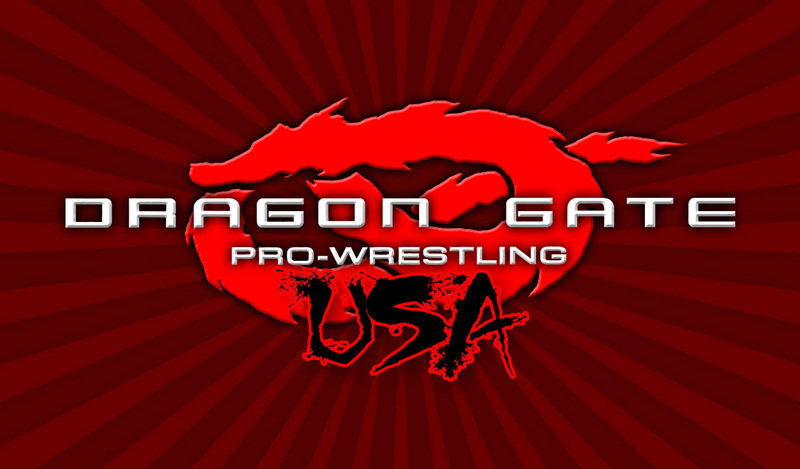 February 22, 2014 – Dragon Gate USA – REVOLT! 2014 at the Queensboro Elk’s Lodge in Elmhurst, NY. Tim Donst defeats Chris Dickinson… Ivelisse defeats Su Yung… Caleb Konley defeats Yosuke Santa Maria… Tag Team: The Gentlemen’s Club (Chuck Taylor & Orange Cassidy) defeat The Bravado Brothers (Harlem Bravado & Lancelot Bravado) by DQ… Rich Swann defeats Anthony Nese… Three Way: Mr. A defeats Fire Ant and Shane Strickland… EVOLVE Title: AR Fox (c) defeats Drew Gulak… Open The Freedom Gate Title: Johnny Gargano (c) defeats Trent Barreta. February 23, 2014 – Dragon Gate USA – Way Of The Ronin 2014 at the Brooklyn Lyceum in Brooklyn, NY. Caleb Konley defeats Tim Donst… Blake Edward Belakus defeats Jay Freddie… Yosuke Santa Maria defeats Ethan Page… Grudge: Jigsaw defeats Fire Ant… The Premier Athlete Brand (Anthony Nese & Trent Barreta) defeat Rich Swann & Shane Strickland… Three Way: Moose defeats Earl Cooter and Xavier Fate… Open The United Gate Title: The Bravado Brothers (Harlem Bravado & Lancelot Bravado) (c) defeat The Gentlemen’s Club (Chuck Taylor & Orange Cassidy)… EVOLVE Title: Chris Hero defeats AR Fox (c) – TITLE CHANGE !! !… Open The Freedom Gate Title: Johnny Gargano (c) defeats Roderick Strong. April 4, 2014 – Dragon Gate USA – Open The Ultimate Gate 2014 at the McAlister Auditorium in New Orleans, LA. Dark Tag Team: Danny Flamingo & Ricky Starks defeat J. Spade & Purple Haze … Dark: Kennedy Kendrick defeats Wayne Van Dyke… Open The United Gate Title: The Bravado Brothers (Harlem Bravado & Lancelot Bravado) (c) (w/Moose ) defeat The Premier Athlete Brand (Anthony Nese & Caleb Konley) (w/Mr. A & Su Yung) (15:20)… AR Fox defeats Mr. A (w/Su Yung) (13:14)… Rich Swann defeats Biff Busick (10:31)… The Colony (Fire Ant & Green Ant) defeat The Gentlemen’s Club (Chuck Taylor & Drew Gulak) (14:31)… Trent Barreta defeats Low Ki (18:12)… Masato Tanaka defeats Chris Hero (17:35)… Open The Freedom Gate Title: Ricochet defeats Johnny Gargano (c) (31:37) – TITLE CHANGE! April 5, 2014 – Dragon Gate USA – Mercury Rising 2014 at the McAlister Auditorium in New Orleans, LA. Dark: Kennedy Kendrick defeats Purple Haze … Dark: Ricky Starks defeats Wayne Van Dyke… Six Man Tag Team Tournament Semi Final: AR Fox, Rich Swann & Ricochet defeat Chris Hero, Masato Tanaka & Roderick Strong (29:00)… Chuck Taylor vs. Maxwell Chicago – No Contest (4:00)… Six Man Tag Team Tournament Semi Final: The Premier Athlete Brand (Anthony Nese, Caleb Konley & Trent Barreta) (w/Mr. A & Su Yung) defeat Biff Busick, Chuck Taylor & Teddy Hart (w/Larry Dallas & Mister Money) (10:00)… Six Man Tag Team Tournament Semi Final: Lince Dorado & The Colony (Fire Ant & Green Ant) defeat Moose & The Bravado Brothers (Harlem Bravado & Lancelot Bravado) (11:00)… SHINE Title: Ivelisse (c) defeats Mercedes Martinez (13:00)… Low Ki defeats Johnny Gargano (18:00)… Six Man Tag Team Tournament Final Three Way Elimination: The Premier Athlete Brand (Anthony Nese, Caleb Konley & Trent Barreta) (w/Mr. A & Su Yung) defeat AR Fox, Rich Swann & Ricochet and Fire Ant, Green Ant & Lince Dorado (16:00)… Dark Tag Team: Bad Influence (Christopher Daniels & Kazarian) defeat The Bravado Brothers (Harlem Bravado & Lancelot Bravado).